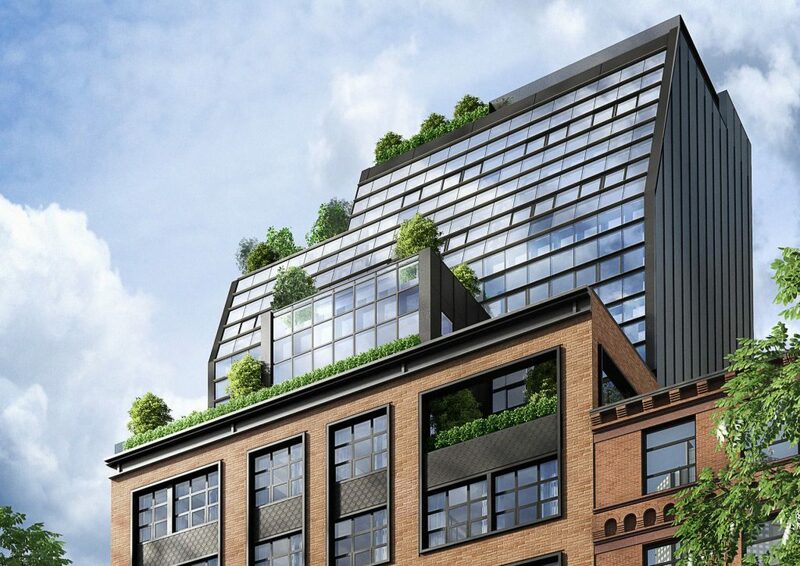 Located near the iconic Parsons School of Design in Greenwich Village, 12 East 13th Street is a boutique luxury residential development of only eight condominiums and features an automated robotic parking system designed and supplied by PARKPLUS as one of its well-appointed amenities. The AGV (Automated Guided Vehicle) system uses self-charging battery operated robotic devices to deliver vehicles from a secure storage vault into a private booth facing out for a convenient exit. 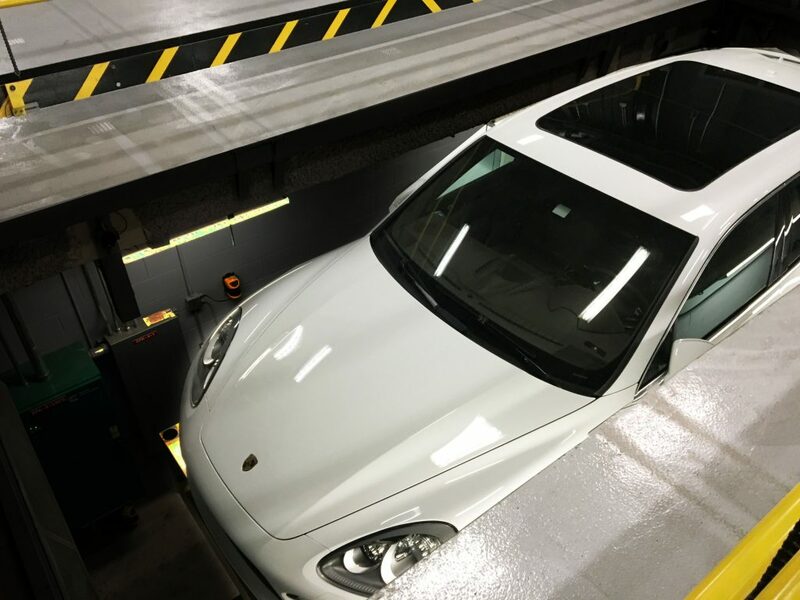 Commissioned in summer 2016, this system was the first of its kind to be installed on Manhattan Island using cutting-edge robotic parking technology to safely store and retrieve vehicles from a secure storage vault with battery operated robotic devices. Drivers simply operate the system via a touch-screen kiosk in the lobby, where they can watch the process on live video display screens. Considered as robotic valet, this parking technology is emerging as one of the most successful solutions and desirable comforts to city parking and urban living. The private vehicle booth, located adjacent to the lobby, is kitted with an array of lasers, scanners, cameras, and display monitors to assist drivers coming in. 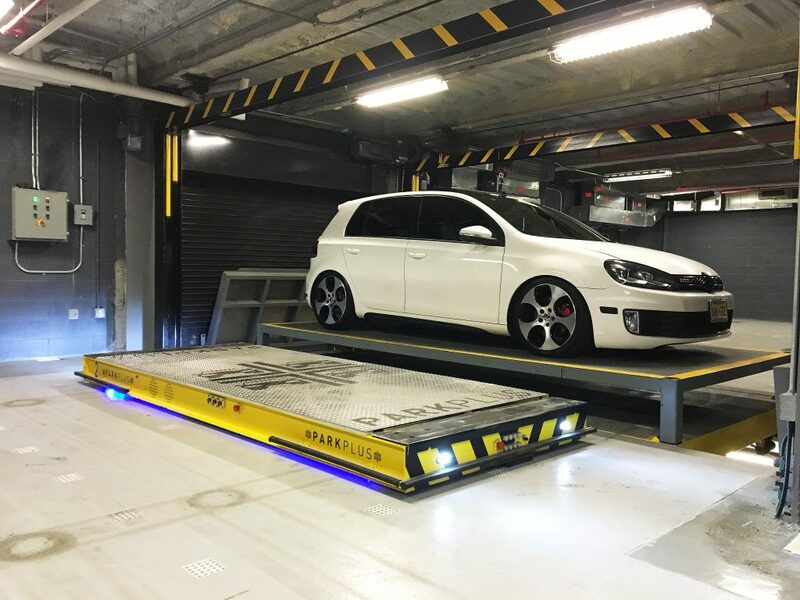 After shutting the vehicle off and getting out, the system is activated at the touch-screen kiosk and the car is transferred to the vault via a lift and AGV. Above, the single level storage vault is managed by computer controlled software to manage spaces and parking requests. 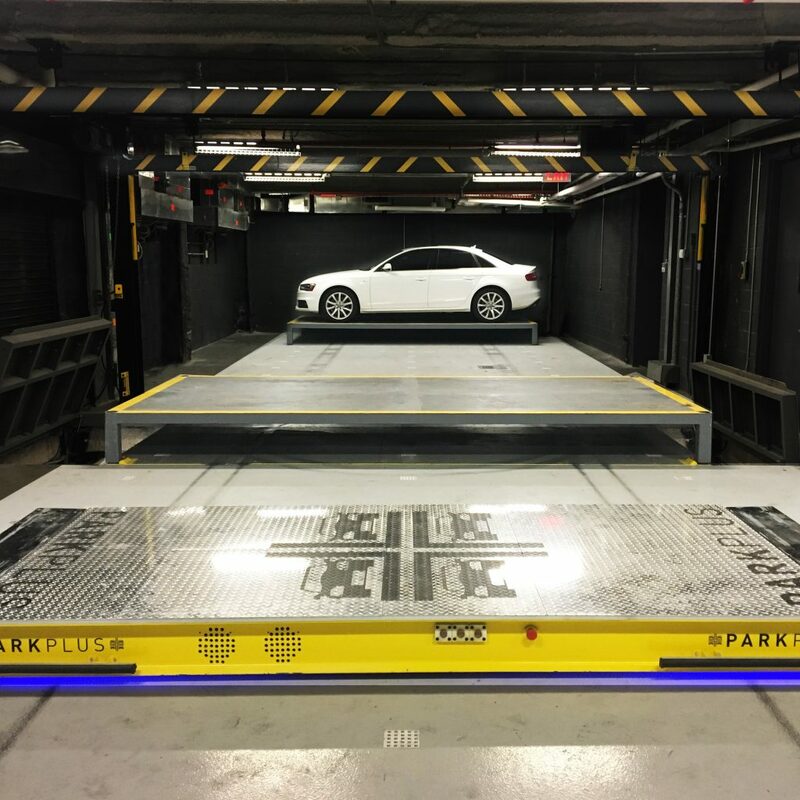 PARKPLUS has developed this system in line with advancements in robotic technologies to deliver a sustainable product that adds value in engineering and design for compact vehicle storage and peak consumer experiences. Residents are provided the convenience of self-service valet in a secure environment that uses less space, less energy, and less operating costs than a traditional parking structure.